The ongoing crisis in Arakan could not be stopped until the government reinstalled Law and Order on Rakhine people who are continued to attack defenseless confined Rohingya people. There is no other option except from foreign intervention. However, it is also sad to know UN has yet to access the situation and deliver aid and medicine for those homeless Rohingya victims who are confined and dying from starvation and disease on daily basis. We don't know how long it gonna take. We don't know how long they have to suffer continuously. We don't know how many more lives would be lost.. In order to curtail international pressures, Myanmar deputy foreign minister Maung Myint said in an annual meeting of foreign secretary level between Bangaladesh and Myanmar on 1 July 2012 that it will take back Rohingya who met requirements. Rohingyans today those are in Bangladesh have lost every thing even their family members. Now they don't have parents to prove. They don't have document to prove lands or property those were seized by government. Many children lost parents. So how could they be met those requirements? 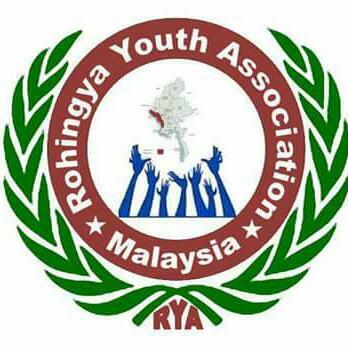 3 July: Rakhines gathering gangly began from yesterday afternoon and dispersed into every Rohingya village from evening. A group approached at Nidan village at night. Another group arrived at Khondol Barua Fara by boat at about 23:00pm and 8 of them entered into the village. After the villagers noised out together and craving for help, they left the villages. The source said that some Rohingya elders had sought help from acting Rakhine leaders. They fingered to negotiate with local authority and RNDP party by fulfilling the demands of Rakhine public that include leaving their properties and lands. 3 July, 8:00am: A source came from authority confirmed that a group of 9 Rohingya women going to find foods to 3 miles far Thakkaybyin (Sakki Fara) village from Santoli village(behind Sittwe lake), were stopped by 3 military forces beside 'GE Wood Mill' on entrance of Thakkaybyin road. One of them under age was picked up and grabbed into the store and the rest were allowed to leave. On the time of the rest eight women reported to military chief via their relatives, it was too late. By afternoon, the victim was accepted at hospital based on military authority's arrangement. However, one of their relatives said there is no trust at all over hospital staffs and local police who took over the victim's case. They would dismiss the fact like in the past weeks there were some wounded Rohingyans who approached at hospital were not survived. Immigration authority conducts a check on immigration status of muslims living in Yangon. About dozen of the pink colour national IDs found from muslims were confirmed seized. In refer to 130 Rohingyan boat people capsized in Gwa Island on 24 June of Arakan state, immigration minister U Khin Yi illogically misquoted in a meeting with 88 generation students on 1 July by saying that people smugglers are bring more Bengali immigrants from Begaladesh. In deed there is no foreigner willing to enter into extreme environment of Arakan. Remaining Rohingyans are leaving day after day. But the number of Rakhines settlment into Arakan from Bangladesh is increasing day to day.. Burning Homes, Sinking Lives - the Equal Rights Trust"